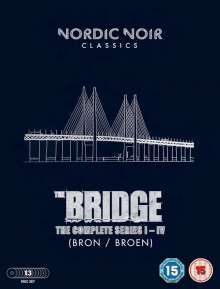 Der Artikel The Bridge Season 1-4 (UK Import) wurde in den Warenkorb gelegt. Thriller / TV-Serie, 2202 Min. All the episodes from the first four series of the Scandinavian crime drama following the joint efforts of Danish and Swedish police officers to solve murders that take place along the border of the two countries.